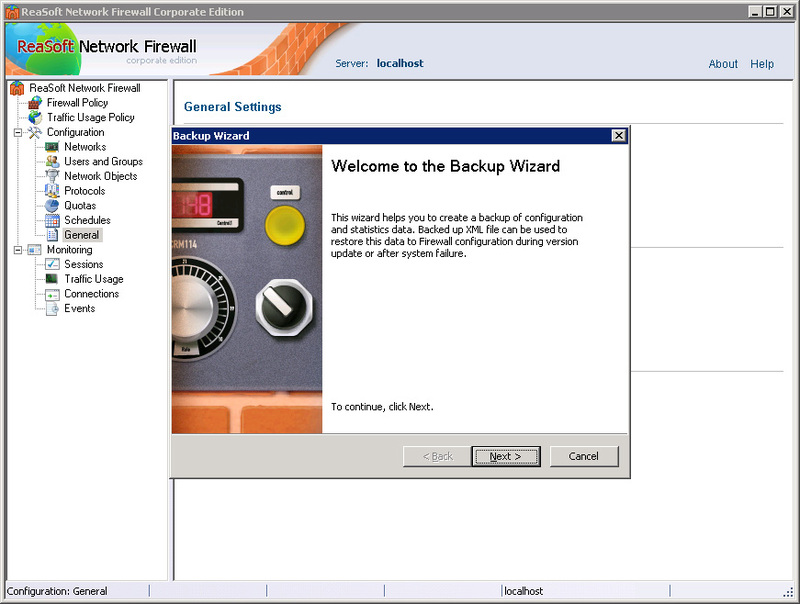 ReaSoft Network Firewall allows you to back up the system configuration. The configuration is saved to a separate XML file that can be recovered in case of failures or damages. To ensure higher fault tolerance for the system, ReaSoft Network Firewall allows you to automatically back up the configuration according to schedule. In case the system fails, you can get the system running again within a short period of time.